Plumbing vents allow pressurized gas to escape from your sewage system. Sewage produces gas, and this gas can build up. In a well-plumbed home, that sewage gas will escape through a plumbing vent. If your home doesn’t have plumbing vents, or if those vents are clogged, you’ll have sewage gas bubbling up through your drains, and that plain stinks. You can give us a call, and we’ll assess your sewage ventilation infrastructure. If you have a sewage backup, you could have a real problem on your hands. If you notice that sewage is gurgling up through your drains, it’s time for immediate attention. 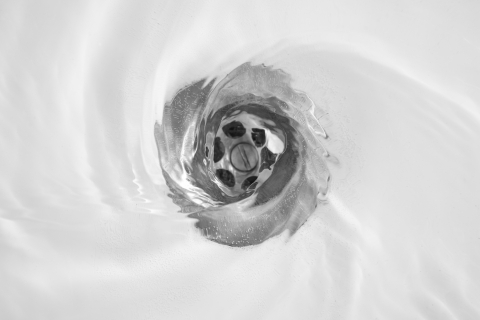 Refrain from running anything down the drain in your home, and give us a call immediately. If you run any more water down your drains, you could cause more sewage to come up out of your drains. We provide emergency plumbing services to clear your pipes and get your plumbing back into working order. You can learn more about our emergency plumbing services here! Emergency Plumbing and Solar is proud to be your Oahu source for plumbing solutions. If you’re in a pickle when it comes to your plumbing, we’re here to help. You can learn more about our full list of services here, or you can get in touch with us to get started on your next plumbing project! Check back soon for more plumbing tips and information! Your Sink Stinks, Here’s How to Fix It - Part II Overall rating: 5 out of 5 based on 10 reviews.